Marinad is a quick and easy fritter. It can be made with cooked cod for the traditional variation of marinad. This version is meatless and goes well as a side dish along with pikliz. In a blender, combine shallot, onion, garlic clove, scallion, and parsley with 2 cups of water. Blend ingredients. Mix in the flour, baking soda, eggs, black pepper, hot sauce, epis, seasoning salt and the blended ingredients in a bowl. 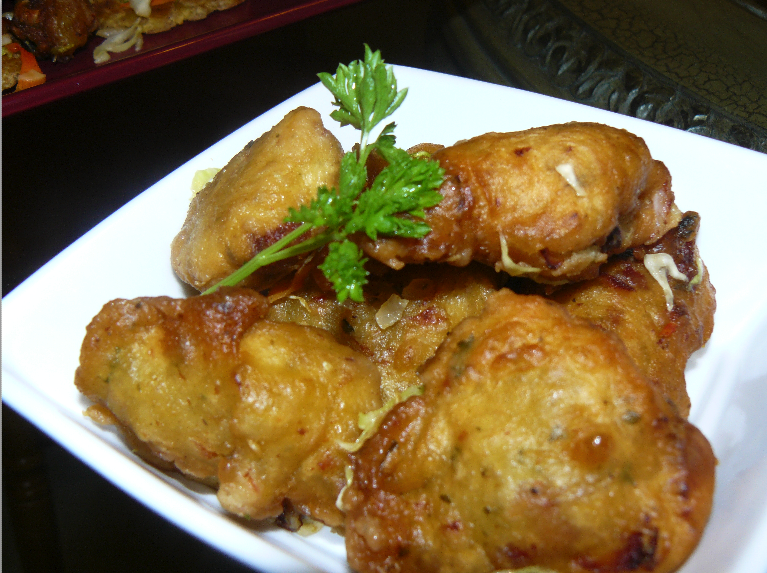 In a deep fryer or large skillet, drop 2 tablespoons of batter into the hot oil over medium-high heat. Turn once to brown each side. Serve with a side of pikliz. Enjoy!